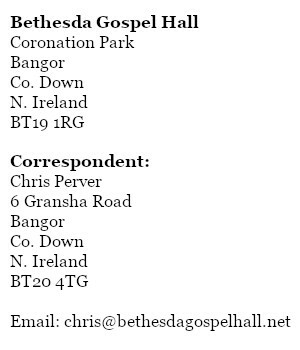 Bethesda Gospel Hall is located on the Old Belfast Road in Bangor, just opposite the sports ground. If you are driving down the Old Belfast Road into town from the Belfast direction, look out for a side street on your right called Coronation Park. You will see a large sign for the hall over the gate leading into the car park.